Displaying his incredible ability in the world of horse racing, Jonjo O’Neill has been able to fulfil his upmost potential both as a jockey and a trainer. He started out as a jockey in 1970, where he was able to race at the highest level for sixteen years, achieving a whopping 901 wins and going down as one of the all-time greatest jump jockeys. Most experienced fans of horse racing would credit Jonjo O’Neill with riding Dawn Run to unprecedented wins in both the Cheltenham Gold Cup and The Champion Hurdle. It wasn’t the only occasion where he was able to find success in the Champion Hurdle either, picking up another win on Sea Pidgeon. His time as a jockey was enough to receive plenty of praise from some of the sport’s biggest names, but he was able to find even more success when he eventually moved on to working as a professional horse trainer. Starting work as a trainer in 1986, Jonjo O’Neill was hit with the news that he had developed cancer, fighting and eventually overcoming Non-Hodgkin’s Lymphoma whilst continuing his work in horse racing. The Jonjo O’Neill racing team eventually moved to a stable near Cheltenham in 2001, where he was able to be fully engrossed in the sport, as he was close to where Cheltenham Festival takes place. Although the leap from jockey to trainer wasn’t guaranteed to see as much success, Jonjo O’Neill became the only person to hold a seasonal tally of 100 race wins both as a jockey and a trainer, showing even more talent through his ability to train and ride a winner in a flat race, as well as in hurdle races at Royal Ascot. Jonjo O’Neill Racing saw their best year in the 2013/2014 season, where they received over £1.5 million in race winnings, boasting an average of over £1 million in race winning annually. 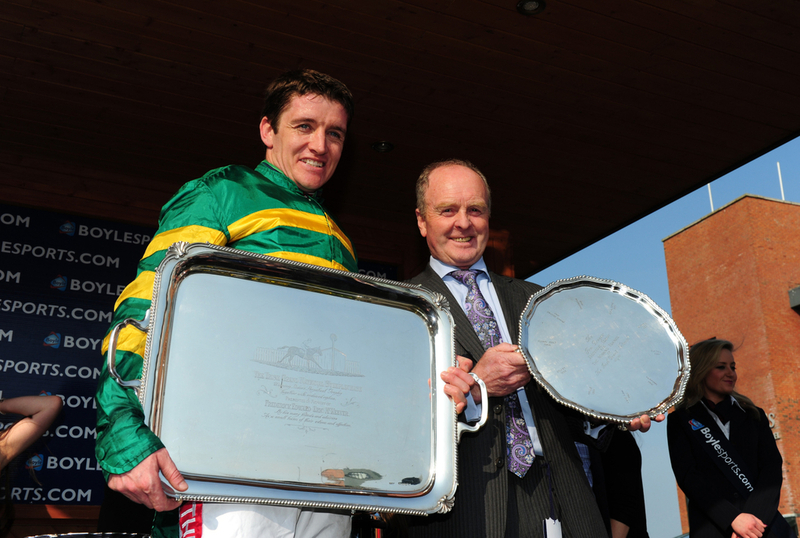 With a lot of winning horses being jockeyed by AP McCoy, Barry Geraghty, Aidan Coleman and the late JT McNamara, O’Neill’s racing team is packed full of experience and quality. There are also clear intentions to carry on the fantastic work at Jackdaws Castle, as Jonjo O’Neill Jr is set to start racing for the team into future years, picking up plenty of horse tips from his father. As Jonjo O’Neill strives to remain constantly involved in horse racing, there’s always horses in training at Jackdaws Castle. An impressive win for his team came in 2009, where Wichita Lineman won the William Hill Trophy at Cheltenham Festival, then being followed by an incredible Grand National 2010 victory for Don’t Push it, where it was a crucial combination between Jonjo O’Neill’s expert training and the advanced jockeying of Tony McCoy, who made sure he got the win over the line for his team. A tally of twenty-six wins at Cheltenham Festival shows Jonjo O’Neill’s skill for capitalising when it matters most. Horses that took wins at Cheltenham include Iris’s Gift, Spectroscope, Black Jack Ketchum, Synchronised, Holywell, Taquin Du Seuil, More Of That, Minella Rocco and the aforementioned Wichita Lineman. Tominator and Shutthefrontdoor weren’t able to take any silverware at Cheltenham Festival but they became instant horses to follow, winning the Chester Cup and Irish Grand National respectively. Click on the horse's name for more insight, future race information and generic horse detail.